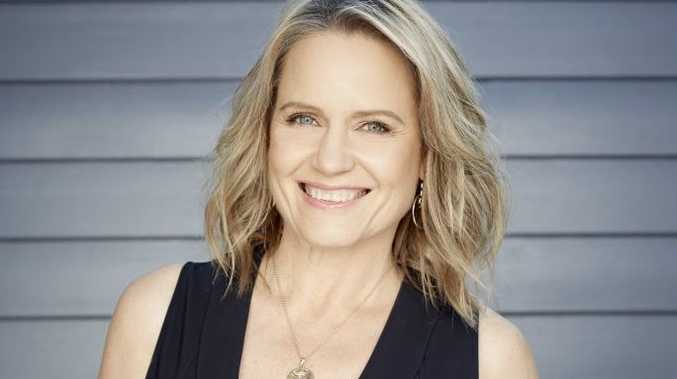 THE Block's grand final auctions are likely to be a two horse race, says judge Shaynna Blaze. Like most of this current Blocktagon season, the renovation competition is dominated by two teams working at opposite ends of the building. 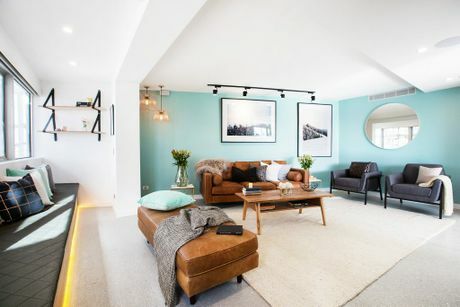 Penthouse renovators Dean and Shay and first floor battlers Kingi and Caro won three room reveals each during the 10 weeks of work on their apartments. "I still think (floors) one and five have the best shot," Blaze told APN. "They've been the most consistent. But we've seen in the past the reserve and the place in the auction can have a huge effect." 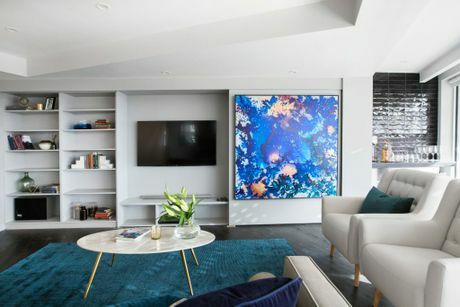 Blaze praised Newcastle couple Dean and Shay for rising to the challenge of buyer expectations for a penthouse apartment in South Yarra. "Sometimes the penthouse can be the albatross on your shoulders because the expectations are so high; they've handled it well," she said. "They're definitely the stand outs for consistency and quality of finishing off. They always looked like they knew where they were going and it really comes through (in the finished product)." But Kingi and Caro stand a good chance of stealing the win from under them as their apartment should have the lowest reserve price. 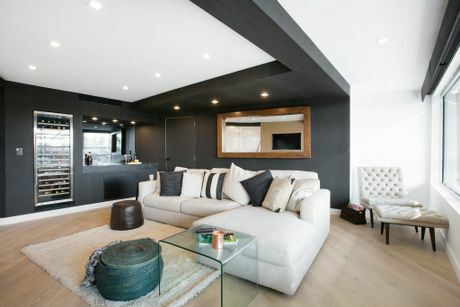 "Their apartment has got that urban feel so it's good they're closer to the street," she said. Despite struggling the most with the demands of the show, Andrew and Whitney - who confirmed their recent split to Woman's Day yesterday - are not Blaze's picks for the wooden spoon. 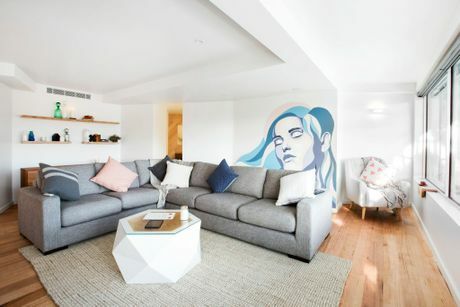 "To their credit they have fixed up a couple of rooms and that will make a big difference," she said. "They also have a style that will appeal to quite a big market, so I don't think it's doom and gloom for them anymore. "There are a few things people will want to change but I think a lot of people will see past that. 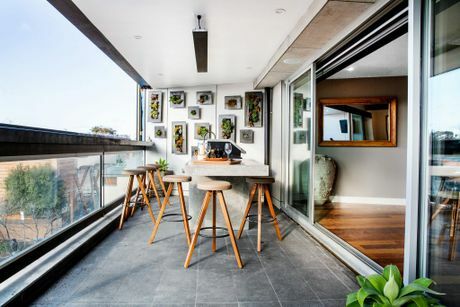 Their solid timber floors are a huge advantage." Gold Coast mums Suzi and Vonni could be the dark horses of the competition, choosing to ignore the judges' advice on features like the full wine fridge and bar in their living room. "It's a very distinct style that won't appeal to a broad range of buyers; they're going for that international market," Blaze said. 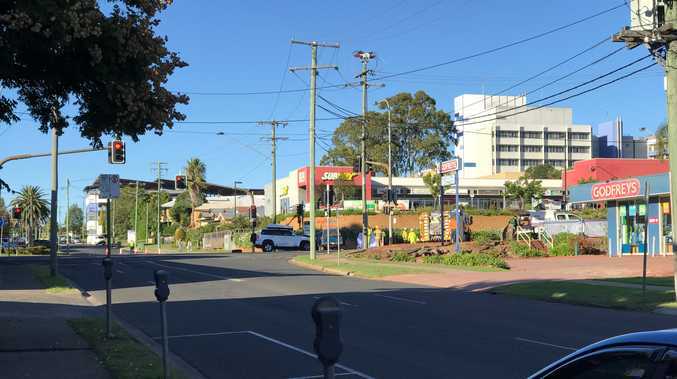 "There are a lot of people buying investment properties to rent out or stay in for a couple of weeks a year, so there's a certain market they might appeal to. They could be a dark horse." But Sky High winner Alisa Fraser reckons Busselton siblings Luke and Ebony have the secret weapon. "They've opened up their apartment which none of the other teams have done," she said. Two years on from her Sky High win with twin sister Lysandra, Fraser has some advice for the latest crop of Blockheads. "I can just see us in them and I think 'Oh God if I only I could fast forward your life and give you all the advice we've learned'," she said. "You get pulled a million different ways and it's hard to say no to anything. "If you don't want to do something you need to have the confidence in what you're doing to say 'no, I'm not doing that'." Tonight's episode will see the auction order decided. The auctions took place on Saturday, with all of the contestants in lock down until the grand final airs tomorrow at 7.30pm on Channel 9/WIN.